Young Hoosier Book Award Nominees and How I am using them in my classroom...with a freebie! | Primary Planet! 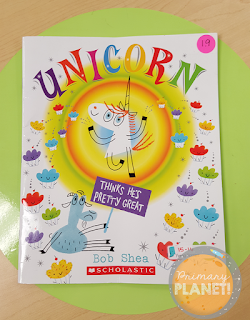 Young Hoosier Book Award Nominees and How I am using them in my classroom...with a freebie! 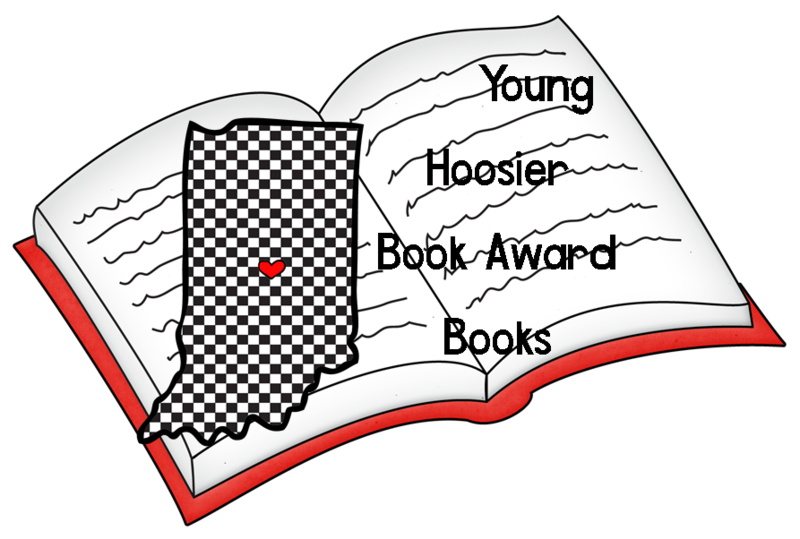 So, this week I am starting a series on the Young Hoosier Book Award Nominees for 2015-2016. 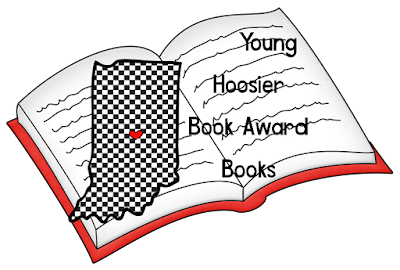 If you look at the official website, it says: "The purpose of the Young Hoosier Book Award Program is to stimulate recreational reading among elementary and middle school/junior high school children and to encourage cooperation between administrators, school media specialists, teachers, public libraries, and the community in providing reading experiences for Indiana school children." Every year our wonderful librarian participates in this program. We keep track of the books that the kiddos have read (or that we have read in class). If they read 12 or more of the 20 nominees, she throws them a pizza party and they get to vote on the one that they like the best! I try to read one book a week to make help the kiddos out. I even try to do an activity to go with each book. So, with that being said, I thought that I would share the books and the activities with my readers! Poor Goat is a little jealous when the "new guy", Unicorn, shows up. He can do some amazing things that everyone loves! He learns some amazing things that he can do when he finds out that Unicorn wants to be more like him. We read the story and talked about how everyone has things about them that are great! Here is a little freebie to go with the book. 1. 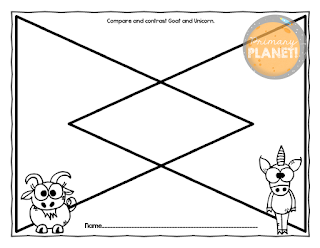 Your students can compare and contrast Goat and Unicorn. 2. Your students can compare and contrast themselves with a friend! Click on the picture or HERE to get your freebie! Check back next week to see how I am using another Young Hoosier Award Nominee in my room!